1/ Order before 2 pm. Our delivery charges for France are completely free. * excluding Corsica, mountainous and remote regions. Unfortunetly, no , DHL only delivers from Monday to Friday between 08:00 - 18:00 and does not work during public holidays. France is a country rich in history, located in the heart of Europe. The country faces the Mediterranean Sea on its southern coast, the Atlantic Ocean on the west, and by the English Channel on the northwest. Tourist highlghts include the Eiffel Tower and the Champs Elysées to see it beautifully lit up and the unbeatable architecture. 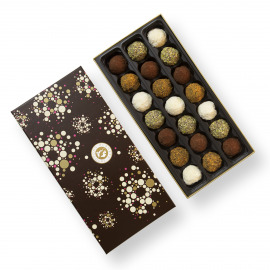 Of course, we deliver our chocolates in France, and we do it to the great satisfaction of gourmands. 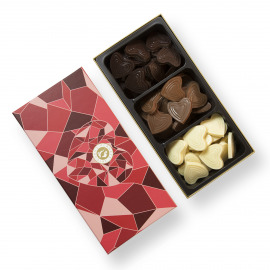 It is a treat for the the eyes first, with unique shapes for each chocolate. Visual harmonie, texture, melting, crunchy: all the senses are awake. Read more! 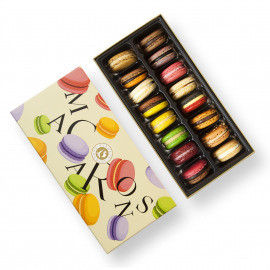 I had the chance to receive a macaron box from Planète Chocolat and I can tell you that my family and I LOVED it! ... Just writing you about it makes me want to eat some more again...Read more! 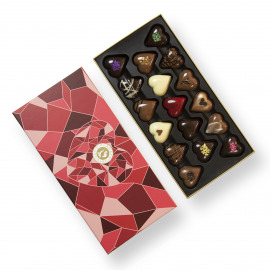 A box of chocolates - Sometimes, you don’t need to look far to please. Personally, chocolates keeps me happy. 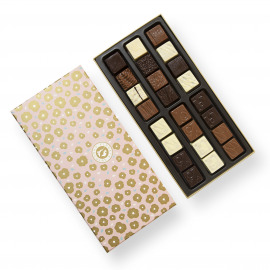 I received a beautiful box from Planète Chocolat and it is really delicious! Read more ! 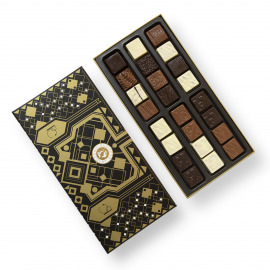 Did you know that France is the 7th biggest consumer of chocolate in Europe ? Since they easily consume 7 kg of chocolate per capita, the French love chocolate bars in particular. They are particularly fond of the comforting qualities of chocolate, making for a deliciously exquisite antidepressant. 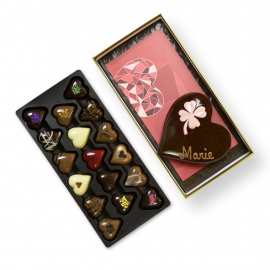 Chocolate became an industrial focus in France beginning in the 19th century. During that time, the first factories created a marketable chocolate that we now find on French tables more and more often. Today, milk chocolate is the focus of sweets, while dark chocolate is especially used for baking cakes and desserts. 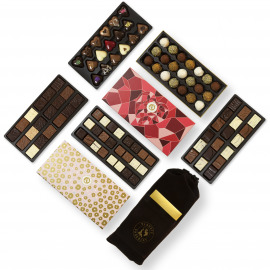 So are you among the 83% of French people who eat chocolate at least once a week ? If so, take advantage of our offers and eat it all alone on an Alps mountaintop, or with your love at the base of the Eiffel Tower.